Able to operate at up to 220 degree temperatures, this 10 GPM grease interceptor has an amazing 440 lb surface load capacity. This Canplas Endura 10 GPM grease interceptor keeps your plumbing flowing smoothly! Sewer authorities and building owners spend millions of dollars every year combating grease accumulation in plumbing systems. 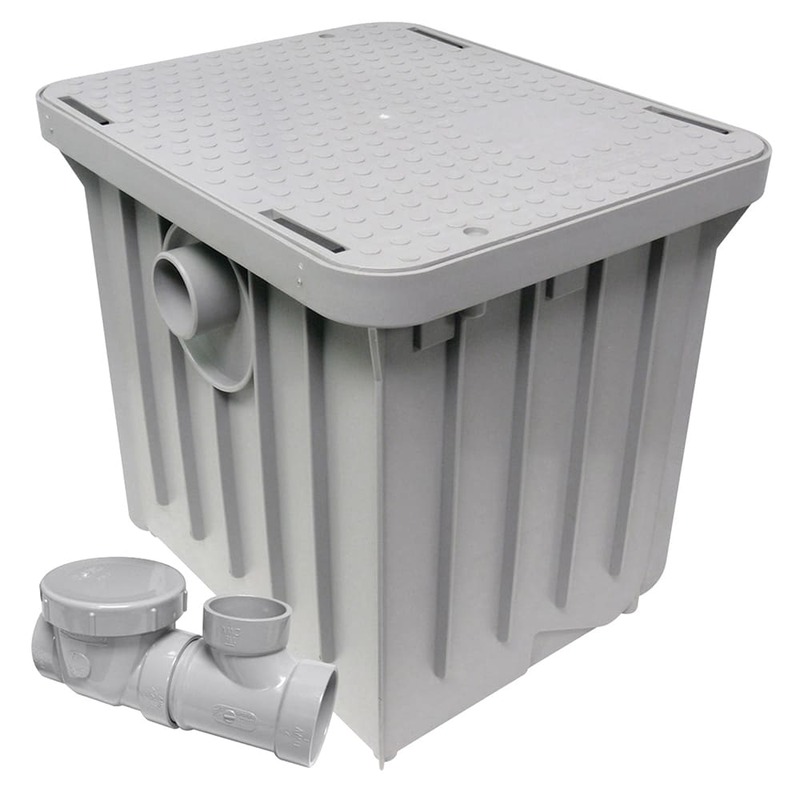 Grease accumulation causes sewer blockages and overflows but this 20 lb capacity grease interceptor from Canplas acts a buffer between grease and your pipes. Injection molded in engineered thermoplastic, this Endura 10 GPM grease interceptor provides restaurant operators with the best value and performance on the market today! The patented baffle system of this 20 gallon capacity grease interceptor enhances separation performance at low flow rates. The 2" connection size is space efficient and the lid features an air tight seal to reduce odor and maintain proper temperatures. Stop plumbing problems before they begin with this Endura grease interceptor! Canplas is so sure that you will enjoy the protection this grease interceptor provides to your kitchen that they have backed it with a 10 year warranty!